Hasa (originally meaning pebble in Arabic) is inspired by the Grimms fairy tale of Hansel and Gretel. 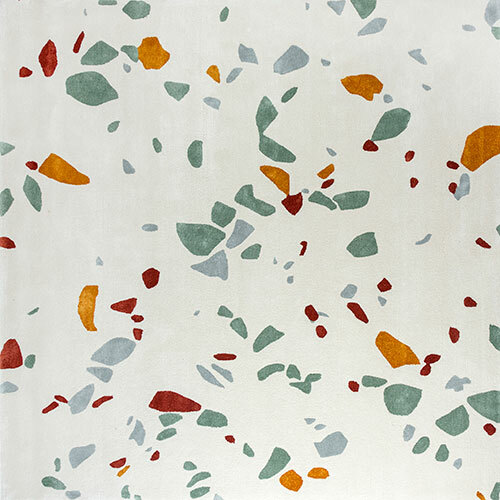 Four different colors are spread on beige base carpet resembling colorful terrazzo mosaics. This wool and viscose mix rug is produced by Stepevi and can be made in custom sizes and shapes. Handmade in Turkey.